Rihanna is totally on top of the world. She's a Grammy-winning singer, a movie star on the rise and a fashion and beauty icon with her own lingerie and makeup lines. Like any successful lady celeb, though, Rihanna faces a fair amount of critique for her physical appearance. She just has the confidence to love herself no matter how she looks, day in and day out. 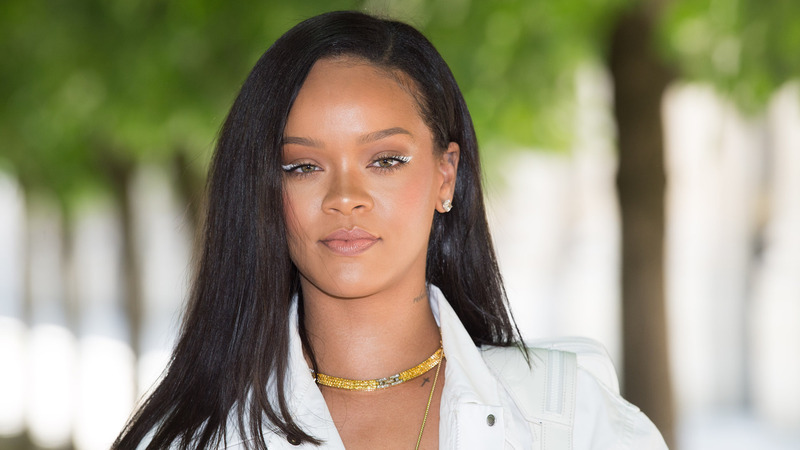 Us Weekly reports that Rihanna graces the cover of British Vogue's September 2018 issue; in the accompanying interview, she opens up about how her body changes and how she embraces its natural curves. When the magazine asked why she thinks so many fans have a crush on her, she said, “I don’t know, maybe it’s because I’m ‘thicc’ now. I don’t know." It can be hard to accept natural weight fluctuations, especially in Western diet culture, in which fatness is considered a moral evil. It's pretty refreshing to see someone like Rihanna — whose style is always impeccable — open up about being confident in her body at any size and any shape.